immediate star of its author who, refuting suggestions that the work was autobiographical, stated 'No, my dear contemporaries ... it is about you'. 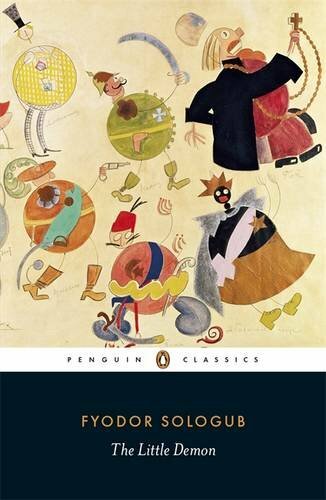 This grotesque mirror of a spiritually bankrupt society is arguably the finest Russian novel to have come out of the Symbolist movement.Fyodor Sologub was born in St Petersburg in 1863. His first two novels Bad Dreams (1896) and The Little Demon (1907) were drawn from his own experiences as schoolmaster in a remote provincial town. For many years Sologub could not find a publisher for The Little Demon but when in 1907 the novel was at last published - to immediate and resounding success - he was able to leave his restricting career and devote himself to literature. In 1921 his wife committed suicide and Sologub died a few years later in 1927. Ronald Wilks studied Russian language and literature at Trinity College,Cambridge, after training as a Naval interpreter, and later Russian literature at London University. He has translated many works from Russian for Penguin Classics, including books by Gorky, Gogol, Pushkin, Tolstoy and Chekhov. Ronald Wilks has translated Chekhovs short stories, as well as the work of other Russian writers, for Penguin Classics.John Sutherland teaches English at University College, London and has edited several works for Penguin Classics.